Total bathtub replacement is what we'd all prefer when a bathtub wears out or when we can no longer tolerate the style or color. But the replacement is expensive, messy, and very difficult as a DIY project. This is why two popular options exist: bathtub refinishing and tub liners. 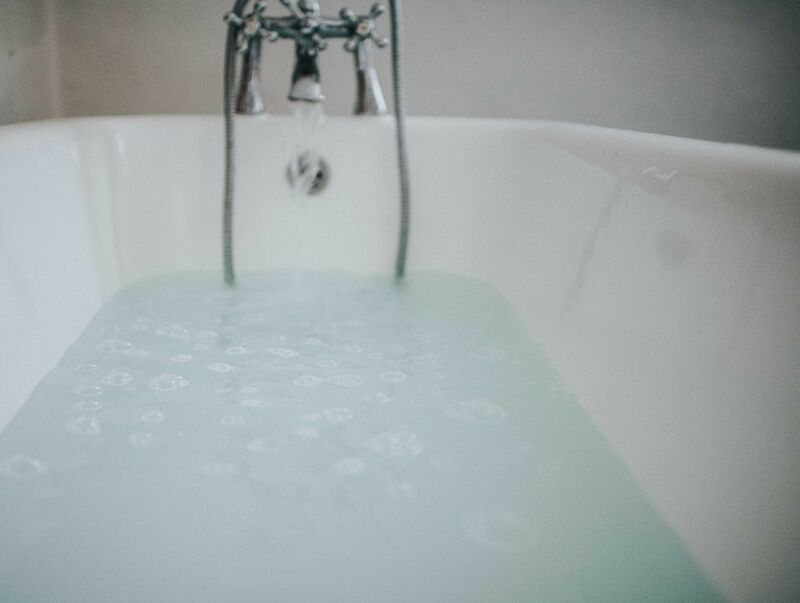 These options meet the needs of homeowners who want a renewed bathtub without the expense or hassle of replacing it entirely. Both of these options share one attractive feature—your current tub stays in place. This takes the mess of demolition out of the equation. But except for this common element, the two options are quite different, as a point-by-point comparison shows. Refinishing: A company cleans, sands, patches, and paints over your existing surface. They use a special coating made just for bathtubs, not ordinary paint off the shelf. The actual formula varies, depending on what material is used in the original tub. DIY kits are also available for refinishing a tub, though they generally are less successful than professional application. Bathtub liners installation: Your current bathtub is first measured by a remodeling contractor or technician from a firm specializing in liner installation. If an appropriate liner is not in stock, one is ordered for custom fabrication. On the day of installation, fixtures, drain, soap dishes, and other obstructions are removed. The liner is installed right over the old bathtub and surround. The existing fixtures, or new ones, are installed over the liner. In terms of finished appearance, refinishing wins this comparison. While judging appearance is always a matter of personal preference, most people find that refinishing produces better results because the process maintains the exact contours of your current bathtub. One exception is if the old tub is in particularly bad shape—rusted, cracked, scratched, or dented. Here, completely covering the old tub with a liner may produce better results. However, if you have a unique bathtub or one whose shape you like, refinishing maintains the same line, just with a new surface. Also, tub liners very slightly reduce the inner size of your bathtub, which may be a problem for some people. In terms of the mess and hassle involved, bathtub liners win out. A good remodeling contractor should leave your bathroom in spotless condition whether they are refinishing the tub or installing an insert liner. But during the process itself, refinishing is messier because it involves sanding and spray-painting. The refinishing company will create negative airflow in the bathroom, moving paint-laden air out a window. Also, elements in the bathroom beside the bathtub will be covered up. By contrast, installing a tub liner is mainly a carpentry/construction project, involving no paint and few solvents. If costs are a consideration, refinishing may be the better choice for you. Although costs vary depending on the company, refinishing is usually less expensive than having a liner installed. Bathtub refinishing starts around $550, although some homeowners report estimates of $250 to $300. With a liner, costs begin around $850 and can be considerably higher in areas where labor is in short supply or where the installation is complicated. 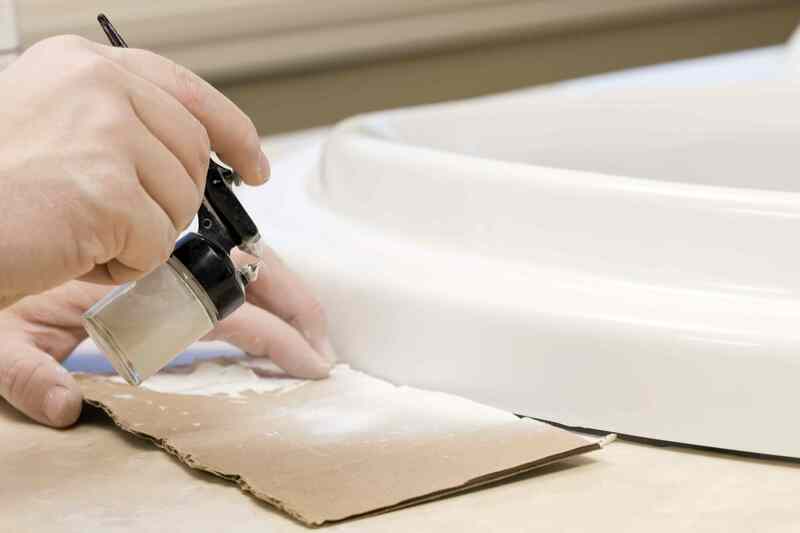 For dedicated DIYers, refinishing gets the nod over installing a liner, simply because DIY options are very limited when it comes to installing your own bathtub liner. You can perform a basic bathtub refinishing job yourself for less than $100. Be cautioned, though, that your results may be less than satisfactory. Professional crews specialize in this work and will do the job faster and better than is possible with any DIY refinishing kits. Bathtub liners are typically measured, fabricated, and installed by a company that offers a package service. Home improvement centers may stock liners for a few of the most common bathtub sizes from the major manufacturers, but most homeowners find that it is much better to hire a company specializing in such work. When it comes to longevity, a bathtub liner wins over refinishing. Refinishing adds a microscopically thin coating on the surface of your tub, which eventually will wear away or crack. A liner, on the other hand, is much thicker and more durable, and if installed correctly it will last for many years—perhaps even decades. The weak point of a liner is that it creates a double layer, and if water infiltrates the space between the liner and the original tub, mold and mildew can develop. Refinishing: Cost is its chief advantage. Depending on budget, you can opt for DIY kits, or hire a firm specializing in refinishing to perform a job with a guaranteed lifespan. Liners: Longevity is the greatest advantage. If properly installed, liners can last as long as a new bathtub. Refinishing: The delicate nature of the refinishing coat makes cleaning difficult. Special cleansers need to be used to avoid scratching or dulling the refinished surface. Liners: If the installation isn't perfect, there is the possibility of water migrating below the liner surface. And once the mold and mildew get started, the only option is the expensive replacement of the entire bathtub.